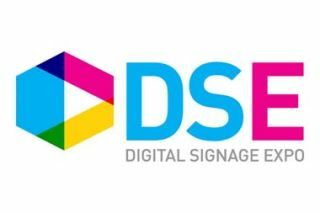 DSE announced that it will host an all-new, two-day, 12-part Digital Workplace Summit: Engagement Strategies for Employee Communications on Tuesday and Wednesday, March 28-29, at DSE 2017, to be presented by the Advanced Learning Institute (ALI). The program will open at 8 a.m. on Tuesday, March 28, with breakfast, followed by a 30-minute speed networking session to introduce all attendees. Tuesday's half of the session will cover how to utilize internal video to engage, inform and inspire employees, building unique communications campaigns, creating a truly digital workplace and using multimedia experiences to reach employees. Presenters include Edward Ford, Dana Deluce, Amy Yee, Kristin Hancock, Ann Dykman, Elizabeth Jurewicz and Sydney Leonard. Wednesday's session will cover the future of technology in internal communications, harnessing the voice of employees to drive talent and results and how to use metrics to increase employee engagement. Presenters include Chuck Gose, Christy Punch, Julia Markish and Jody Wilkins.